Experience farm living as it was done over 100 years ago at Fosterfields Living Historical Farm. At this 213.4-acre New Jersey and National Register Historic Site, you can enjoy many of the daily farm activities that took place in the 1920s. 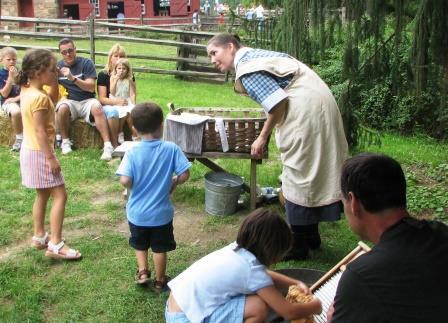 On the farm, visit the farm animals, witness the farmer plowing or planting of the fields using antique machinery, and help perform daily tasks, such as colleting eggs, grinding corn to feed the chickens, and cleaning the harness. Visit the authentic 1920s Farmhouse where the farm foreman once lived, and compare it to the 1854 Gothic revival-style mansion, The Willows that was once the home to the elite Foster family, the previous owners of Fosterfields. Strike up a conversation with one of the docents dressed in period clothing to learn more details about the lifestyle of those who lived and worked on the farm. Tour the interactive Transportation Exhibit filled with antique automobiles. There is a calendar of special programs and events for everyone to enjoy! Plan on hosting your next formal or informal family gathering, wedding, or corporate event at Fosterfields Living Historical Farm, which offers the option of a tented facility, as well as a picnic shelter. For more information, please call 973.326.6534. The Friends of Fosterfields and Cooper Gristmill assist the Park Commission in developing and maintaining a high level of excellence at Fosterfields Living Historical Farm and Cooper Gristmill. The Friends also promote and sponsor a public education program of historical and agricultural projects and activities. Members enjoy discounts on general admission, advance notice of activities, and a free subscription to the Gazette newsletter. For more information on The Friends of Fosterfields and Cooper Gristmill, or to become a member, please visit wwwfriendsoffosterfields.org or call 973.326.7645. Begin your visit with a tour of the latest exhibit in the Visitors Center. There is always something new and exciting at Fosterfields Living Historical Farm. Kick off the Spring season with a celebration of the Immigrant Farm Workers and Born To Be Shorn in April. 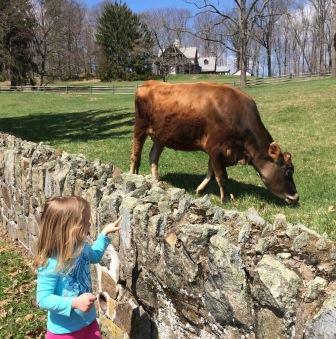 Come to Little Farm Friends for our youngest visitors and Farm Friday Summer Concerts. There is always something new and exciting. 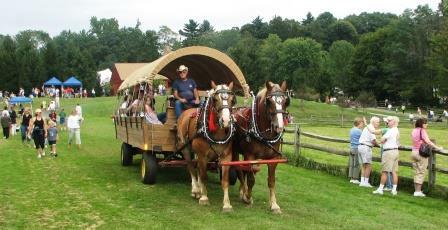 Fosterfields Living Historical Farm offers a variety of exciting special event weekends. There are always farm animals to visit, wagon rides around the farm, a variety of hands-on activities on the Farm, Irish maid tours of the Willows, and the birth of pigs, lambs, and chickens. Kids love the ever-popular summer camp program, too. The Transportation Exhibit, filled with antique automobiles will complete your visit. Check out the calendar of events for more programs! The Special Events page highlights activities and programs, offering unique and fun opportunities for visitors of all ages. 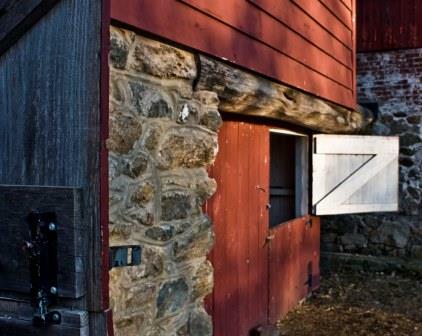 Wishing to preserve her beloved home and give future generations the chance to experience the sights, smells, and sounds of rural life, Caroline Foster in 1972 donated Fosterfields to the Morris County Park Commission, to be preserved as a ‘living historical farm,’ the first in New Jersey. Not a replica, Fosterfields is a working farm, using the tools, techniques, and materials of a turn-of-the century farm. The property has been a working farm since 1760, when it was owned by Jonathan Ogden. It was purchased in the mid-1800s by General Joseph Warren Revere, grandson of Paul Revere, who built the impressive Gothic Revival home, The Willows. Charles Foster purchased the farm in 1881, changing its name to Fosterfields, and it was here that Caroline Foster lived 98 of her 102 years. 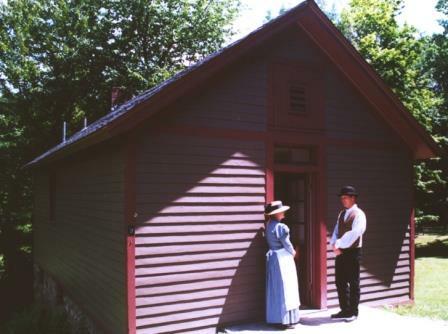 As she wished, Fosterfields offers an incomparable opportunity for everyone to learn about our agricultural heritage, providing through its living history programs and tours a fascinating look at the life in the late Victorian era. The Morris County Park Commission is dedicated to representing the life at the site that existed from 1880 to 1930, with the primary focus being 1918 to 1925. Much of the knowledge of the lifestyle is known from the rich archival collection left by the Fosters’ journals, diaries, and invoices. April through June: Tuesday to Saturday 10 a.m. - 5 p.m.
July through October: Wednesday to Saturday 10 a.m. - 5 p.m. and Sunday 12 noon - 5 p.m. The Historic Sites of the Morris County Park Commission received an operating support grant from the New Jersey Historical Commission, a division of the Department of State. There is no trail map available at this time.